Just two weeks after an illness forced me to quit in the Seville marathon, I had the chance to test myself in competition again at the half marathon of Blagnac. This was the 3rd time I ran the race, after I took part in the 2012 and 2014 editions. 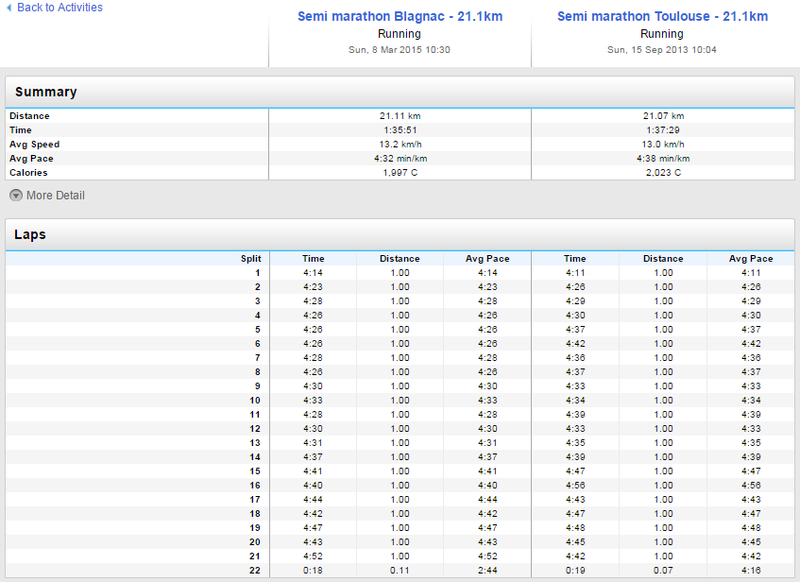 In neither of those I made an especially good time, always slower the in the Toulouse half marathon, even if I think Blagnac’s one is a bit flatter. In those previous two occasions the morning of the race had been very sunny and I felt too hot during the race (in 2014 it was a bit too windy as well). Therefore, this time, being another sunny morning, I decided to run with a cap in order to cover my head from the heat of the sun. As part of the training for Seville marathon I had run by myself alone a half marathon in 1h39’17”, my second best time in the distance, without any support in the form of supplies or other runners around. This made me confident that I could beat my personal best time in the distance, 1h37’29”, achieved in Toulouse in September 2013 (then in the preparation towards Athens marathon). I would have liked to run behind a pacer for 1h35′, but there wasn’t. There were only pacers for 1h30′, 1h45′ and 2h. I decided to pace myself from the start aiming at 1h35′, that is a pace of 4’30” per km. I managed to keep that pace until about the kilometres 13-14. From then on I was more on 4’40-45″. But I still was making numbers in my head knowing that I would be able to beat my best time. I just needed to be below 5′ per km on average. Therefore, only the margin by how much would I beat it was in question. 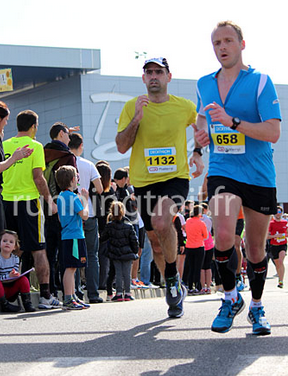 Final sprint at Blagnac half marathon. 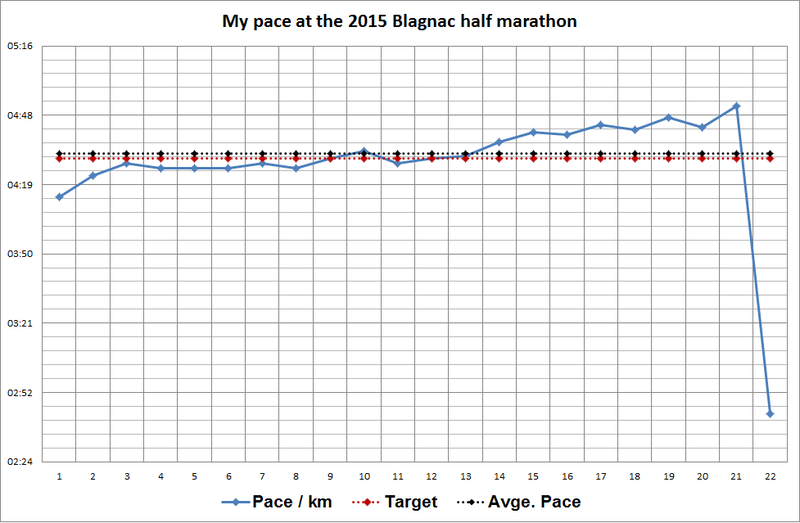 Comparison of Blagnac 2015 and Toulouse 2013 half marathon performances. Evolution of pace compared to initial target and average pace. Congrats on the new PB!